Valentine's Day is around the corner, are you still looking for a card for your valentine? Did I mention that I worked at Hallmark during high school, and holy cow, you should have seen the husbands and boyfriends pour in Valentine's day evening frantically looking for a Valentine's day card. We usually ran out and whoa, look out, the wrath of a last minute husband. Fast forward to when I was married and my husband came home with a spanish Valentine's Day card, the english ones were all sold out. I loved the card so much it became a tradition, now every year my husband TRIES to find the most ridiculous Valentine's Day card, "To my Uncle", "Your 100th birthday" a sympathy card, etc. From my years at hallmark it created a love for cards and I bought and hoarded many, I still have some I can't part with (over 12 years old). The best are love cards with a dash of sarcasm. 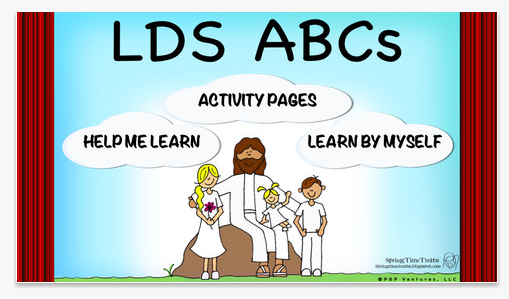 A shout out today that the LDS ABCs full app (that I illustrated the pictures for) is on sale this week only for 99 cents. Find the link here. 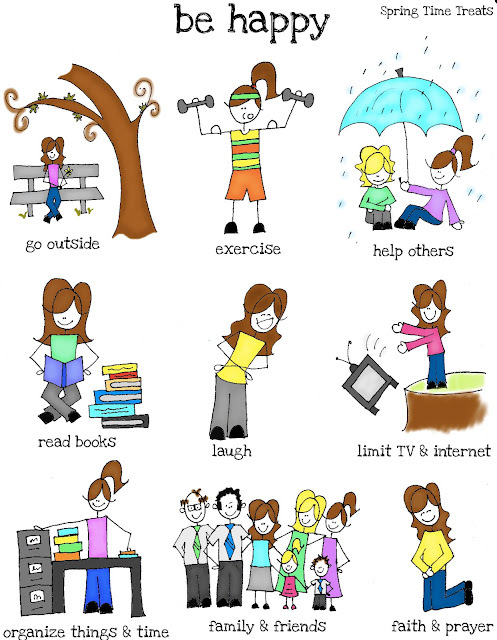 It is also featured on www.pinchingyourpennies.comhere. It is pretty sweet. You can follow along and listen to the ABCs being read by the sweetest little girl. Then you can color pictures, e-mail the pictures to family and friends, and even print pictures off to color by hand. And if you already bought the app, make sure you update it, there is a new eraser for activity pages. So check it out and have fun coloring pictures like this Noah and others. 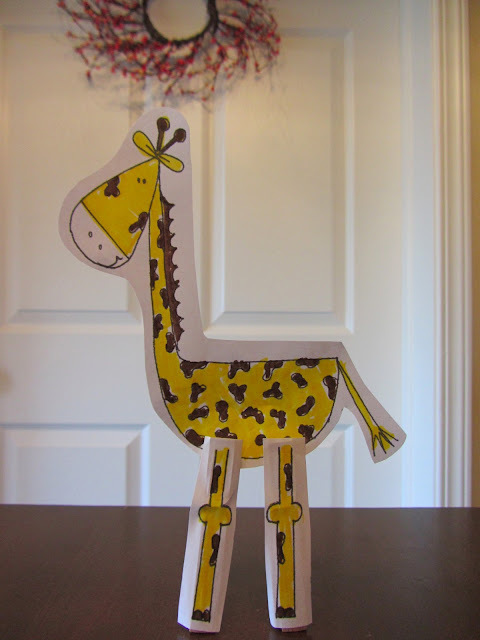 When my daughter was in preschool she came home with a super cute clothespin giraffe. I looked all over online and couldn't find one as cute as hers, so we made our own. This would also work great if you were teaching the letter "G"
Simply color, cut along dotted lines, glue (we used a glue stick) legs to clothes pins, and then attach clothespins to body. The glue stick works well, but use lots of glue and hold paper legs to the clothespin for a few long seconds. It works even better if you use cute kids. Sorry, you can't borrow mine. We call this caveman coloring in our house (gripping the marker like a caveman), hey don't judge, it works! I started this little blog a little over a year ago, September 2011 to be exact, just for fun. Thought I would share some silly doodles and puppets. I did it as a side hobby and didn't really advertise with blog swaps and others (as you can tell I have no idea how to since I don't even know the proper lingo), so I really want to thank my wonderful friends and family that have supported me and spread the word, linking me to pinterest and sharing my blog on facebook. We hit 20,000 views this month, my mom is probably 10,000 of those views, but that still blows my mind. Our New Years Eve was spent running errands because we had just come home from a trip, and we quickly stopped at Taco Bell and then Little Caesar Pizza (because they are both soooo good we couldn't choose). We were eating in the car (when I say car I really mean awesome minivan - seriously, even if I only had one child I would still buy a minivan, so much room), anyway, eating in the van because, like I said we were running errands and didn't have time to go into one of their luxurious seating areas. I looked around and for a half second I thought "What a lame New Year's Eve" and then I quickly looked at my two children chowing down on their taco/pizza with the most content smiles, because honestly tacos and pizza are wonderful, my sweet sleeping baby and my funny husband and I thought, "I can't think of better company than this," and then the naco cheese flipped on the floor, luckily it landed upright, it was a New Year miracle. Happy New Year!